Motherhood is HARD. Like harder than anything I have ever done before. I don't write or talk about the challenges of motherhood often because A.) I don't want to sound like I'm complaining - I adore our boys! and B.) It usually opens the door up for the "just wait 'til" comments from other parents. BUT, if I can encourage other moms by being honest about my mommy-struggles, I am happy to share. That's exactly what Becky Thompson does in her book, Hope Unfolding. Becky's writing is real, honest and from-the-heart. Hope Unfolding was very encouraging to me because I could totally relate to her mom struggles and she gave me a new perspective on God's heart towards mommas. What's one of my struggles as a mom? I wonder if I'm doing the "right thing" daily. The Enemy whispers lies that make me feel like I'm alone in this; like I'm going to "ruin" our kids. He tells us lies like "all the other kids' moms are doing it this way and I'm not... I wish I could be a good mom, too." The truth is that I won't ever be the "perfect" mom. Becky points out that by surrendering our hearts to the Lord and asking Him to help us parent our children, we acknowledge our dependence on Him and also our desire to be the best versions of ourselves for the betterment of everyone around us. Our kids need Jesus just as much as we do! She encourages the reader to believe that you are a GOOD mom. Yes, say it out loud and claim it! That is something I need to do daily and I encourage you to as well! I highly recommend this book to all the mommas (and mommas-to-be) out there in whatever season of motherhood you are in. The road can be bumpy and we all could use some godly encouragement! Learn more about Becky Thompson and pre-order Hope Unfolding! I received this book from Blogging for Books for this review. All opinions are my own. Linking up with Mommy Moments. Marathon training is often accompanied by a few "side effects" such as moderate random chafing, excessive foam rolling and runger (a.k.a. "running hunger"). Here is my solution to this week's case of the runger! While I'm not a passionate baker, I do enjoy eating baked goods and am a firm believer that everything is better homemade. I prefer to keep my recipes simple and, well, it doesn't get much more simplified than no-bake cookies! As a proud 2016 NuttZo Ambassador — seriously, they are so good to us — I want to share with you my all-time favorite no-bake cookie recipe made with NuttZo's Chocolate Power Fuel. Melt butter on medium heat and stir occasionally. I used plain old store-bought butter today. Once the butter is almost completely melted, add sugar, milk, and cocoa powder. Stir ingredients until well combined. Bring mixture to a boil and allow to boil for 1 minute. Continue stirring. Remove from heat. 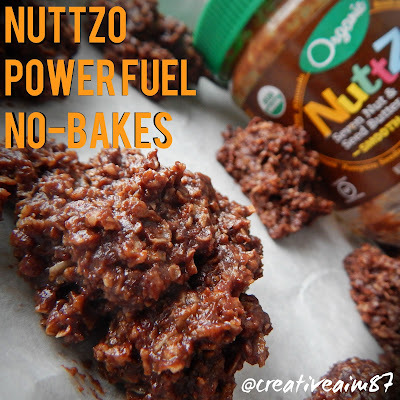 Add NuttZo Power Fuel and stir until the mixture has a smooth consistency. That's the last of our jar! Pour in quick oats and mix until evenly coated. Bring in cute, enthusiastic helper to stir ingredients (pictured below). Line a baking sheet with parchment paper. Neatly pour spoon-sized amounts of no-bake "batter" in rows on the baking sheet OR spoon messy piles of deliciousness all over the place. You choose! Allow cookies to "set" at room temperature for 30 minutes OR spoon the gooey cookie blobs straight into your mouth. 02/15 Monday - Easy-Effort: 7 mi, 01:02 @ 08:51 avg pace. 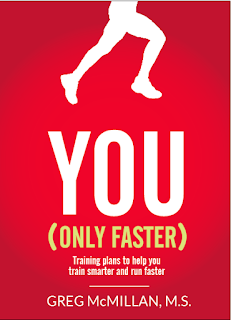 02/16 Tuesday - Tempo Intervals: (Treadmill) 5 mi, 00:40 @ 08:00 avg pace. 4 x 1 mile @ 7:01/mile pace with 2 min recovery jog. Strength: 6 x 1:00 minute planks - on extended arms, then on elbows, front, side, side. 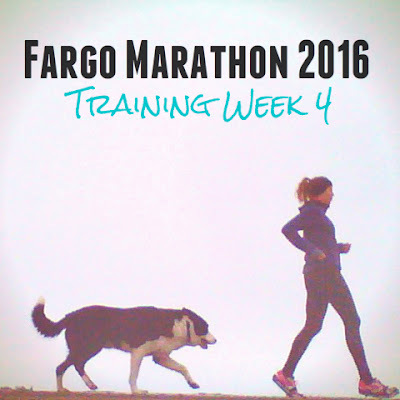 02/17 Wednesday - Long Run: 14.01 mi, 02:03 @ 08:46 avg pace. Windy and icy but enjoyable run overall. I did my best to squeeze in key training runs this week as next week will be up in the air! Normal training will return in a week or so. 02/18 Thursday - Off. Recovering from the crammed workouts earlier in the week. What is your favorite kind of cookie?! Hallelujah, being un-sick feels amazing! And I'm healthy just in time to take care of my family... that is now sick :( Sadly, I must have shared the bug with them. Today's Question: Is it okay to run while sick? I run through the common cold but there are some forms of "sick" that stop me in my tracks. Achy muscles, fever, chills, congestion and headaches... Bleh! Hard training, lack of rest and, surprise surprise, even those adorable little people running around my house all greatly increase the chances of getting sick. To recover in my sick week, I ate a lot of NuttZo on toast, drank numerous glasses apple juice (and I don't even like juice that much! ), went through about a box of Kleenex and joined the kids for a couple naps. As of today, I'm feeling exhausted from being up with a sick baby with an ear infection — but otherwise I am feeling quite healthy! This week rest and recovery IS a priority. I'm praying that my family can be healed from this bug soon and I'm giving our sick babies extra cuddles. P.S. 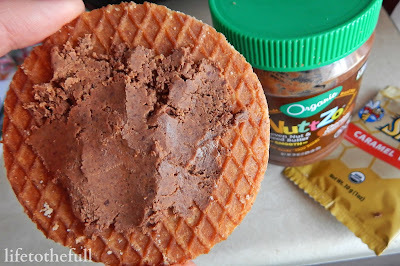 Here's the NuttZo Power Fuel + Honey Stinger Caramel Waffle sandwich I promised you! I ate it before the 13-miler and it was SO tasty. On the run, I had the Organic Vanilla Honey Stinger gel, which was wonderful as well. 02/08 Monday - Sick, sick, sick. The best I could do was keep the boys out of trouble and make spaghetti! 02/09 Tuesday - Feeling a little better but the flu-like muscle aches and chills are still lingering. No running allowed. Strength Training: A couple sets of lunges side an reverse lunges, called it good after that. 02/11 Thursday - Off. Still recovering from the nasty cough, very tired. Have you been sick this winter? Linking up with Fitness Health & Happiness. 'Tis the season for coughs, colds and the flu bug! I am finally out of the woods my cold/flu but that cough is still lingering in our family. I was contacted by Moms Meet just in time to try the GaiaKids® Bronchial Wellness supplement for kids from Gaia Herbs. GaiaKids® Bronchial Wellness for Kids provides herbal support for the respiratory system and promotes healthy mucous membranes for kids ages 2 to 15. This product is USDA Certified Organic and has a great taste that comes from organic honey, lemon, and flavorful essential oils. Helichrysum's essential oil - one of the most potent sources of antioxidants, traditionally used to soothe occasional bronchial irritation. Grindelia - used to support the respiratory system and assist in the normal production and elimination of mucous along with providing soothing support for the respiratory tract. Every herb in the product is 100% traceable down to its source and quality testing using MeetYourHerbs.com. When I searched the Herb ID, I was able to view the certifications for purity, integrity and potency of this product along with the manufacture date and product qualifications. All of the GaiaKids® products are formulated by pediatric naturopath, Dr. Mary Bove, and consists of 10 alcohol-free herbal formulas that deliver herbal support with kid-friendly tastes. I tested this product myself and the organic honey and flavorful essential oils give it a very enjoyable taste. You don't need a spoonful of sugar to make this medicine go down! Overall, I was really impressed with the GaiaKids® Bronchial Wellness for Kids because of the great kid-friendly flavor and the 100% traceable ingredients. Knowing that the ingredients are pure and safe is very important to me, especially when it comes to my kids. The toddler thoroughly enjoyed "his medicine", as he calls it. GaiaKids® wins the toddler's approval! Sneaking in a healthy snack after a tough workout is challenging. When I get in from a long run, the kids mob me — the toddler wants to tell me how stinky I am and the baby needs to nurse. Between taking care of the kids, stretching and sneaking a shower, it's easy to skip eating all together. Not eating after a hard workout is a bad deal because your body needs nutrients to repair the micro-tears in the muscles that result from exercise. When fueling correctly, the body is able to repair the muscle tears and actually makes the muscle stronger! According to Runners Connect, the optimal window for nutrient absorption is 30-90 minutes after working out. Whatever your recovery food of choice is, you should consume it as soon as possible post-workout. Lately a Honey Stinger Caramel Waffle or spoonful of NuttZo Power Fuel is my favorite post-run snack! This week I had the opportunity to review Manitoba Harvest's Hemp Heart Bar and they proved to be another great recovery snack option. I threw them in the diaper bag and gave the Chocolate and Apple Cinnamon flavors a shot. Each Hemp Heart bar packs 10 grams of protein and 10 grams of omegas and they are around 230 calories per bar (depending on the flavor). The Chocolate flavor was a little too bitter for me but the Apple Cinnamon flavor was delicious. What I really appreciated was that the Hemp Heart bars didn't have a weird protein bar after-taste! They contain the 10 grams of protein but still sport a great flavor. This is the first week of the Build Phase of my training plan and also a week when I had to cram all of the runs in before the weekend! 02/02 Tuesday - Speed Intervals: (Treadmill) 4.5 mi, 00:36 @ 07:53 avg pace. 8 x 400m (with 400m jog recovery) @ 6:23 x 4, 6:23 x 3, 6:19 x 1. This workout felt great after running so many hill intervals in the base phase of training. Much more enjoyable than the hill sprints! I'm done with the hill sprint intervals for now! Back to 1.5% incline and it feels so good. 02/03 Wednesday - Easy: 6.01 mi, 00:57 @ 09:32 avg pace. Took the dog out for a run this morning. I've been spoiled with the 20°F degree mornings because the 4°F felt quite chilly today! Strength Training: Planks, core work and lunges. 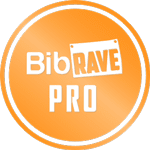 02/04 Thursday - Long Run: 12 mi, 01:43 @ 08:36 avg pace. Ice, ice, baby. Icy streets, icy gravel roads, just icy all over. And I wasn't smart enough to throw on my Yaktrax today :s Made it through the run with only a few near-slip wobbles :) Not sure if anyone saw me doing that! 02/05 Friday - Recovery: 3.2 mi, 00:30 @ 09:22 avg pace. Tired and feel like I'm coming down with something. I switched out the scheduled tempo mile repeats for a few recovery miles. 02/06 Saturday - Off. Yep, I am getting sick. 02/07 Sunday - Off. Definitely sick. 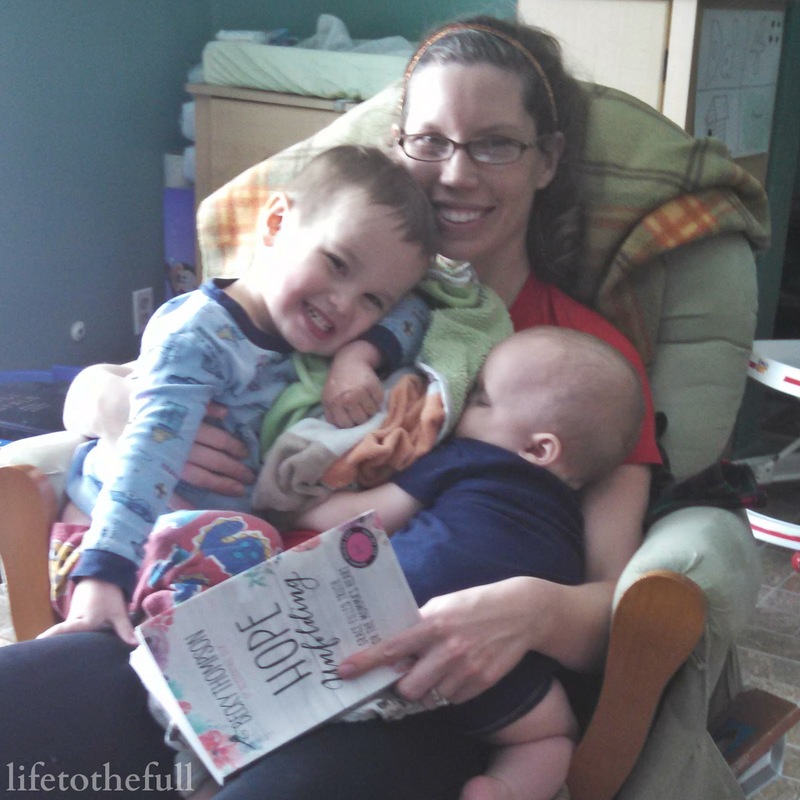 Linking up with Fitness Health & Happiness and Mommy Moments. Hellooo to you on this first day of February! We are yet another month closer to Spring-time, the green grass, running shorts, sunshine and mosquitoes. I can just feel it. This year I have been blessed with the opportunity to work with NuttZo and Honey Stinger through my running and blogging! 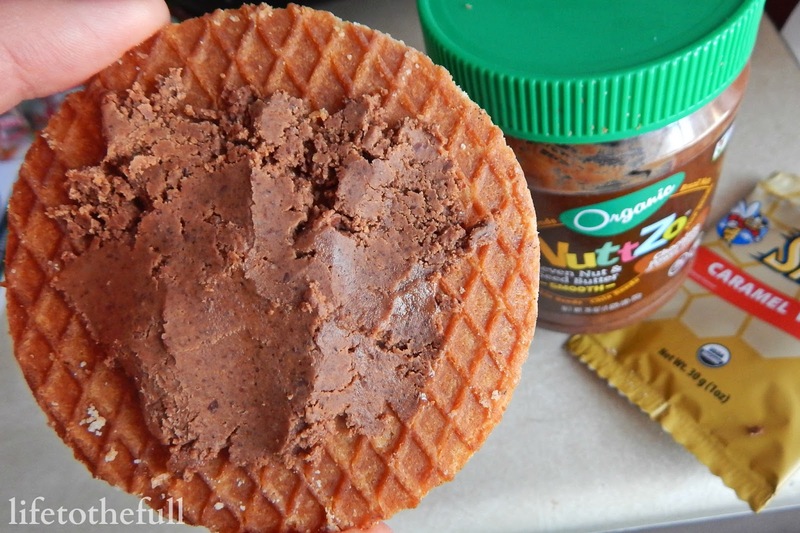 Nut butter AND honey?! It doesn't get any better than that, folks. I'm ecstatic! And kind of hungry just thinking about it. 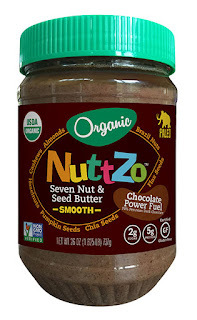 NuttZo Organic Nut Butter is the ONLY ORGANIC Seven Nut and Seed Butter on the planet! Their products include these pure ingredients: Peanuts, Cashews, Almonds, Hazelnuts, flax seeds, chia seeds, pumpkin seeds, Brazil Nuts, Sunflower Seeds, 70% dark Peruvian Chocolate, sea salt. 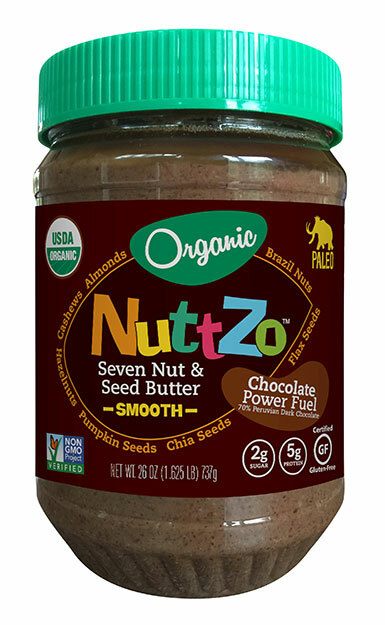 NuttZo Nut Butter is a whole lot of nutritious and delicious! Honey Stinger fuels runners, cyclists, triathletes and teams all over the country with nutritious and great tasting honey-based foods. From energy gels for the long run to the kid-friendly caramel waffles, they have all of the bases covered with natural ingredients. This was a "recovery" week and also the last week of the Base Phase of my training plan. On to the Build Phase next week! 01/25 Monday - Easy/Recovery: 6.01 mi, 00:59 @ 09:44 avg pace. I felt wiped out this morning — physically, mentally, emotionally, all of it. The run felt good to shake out stiffness from the last windy long run but I could have easily slept 'til 10 a.m. this morning... Not that the kids would have let me! 01/26 Tuesday - Hill Intervals: (Treadmill) 4 mi, 00:34 @ 08:22 avg pace. 4 x 2:00 minute intervals at 6% incline, 6:47/mile pace. Still pretty wiped! I think we all need to go to bed early tonight. 01/27 Wednesday - Strength training while the cookies were baking. 01/28 Thursday - Tempo Run: (Treadmill) 5 mi, 00:40 @ 08:04 avg pace. 4 x 2:00 minute intervals @ 6:32/mile pace. Early morning miles on the treadmill. I'm really liking the interval workouts on the treadmill this winter. It was raining last night and the roads were like an ice sheet this morning! 01/29 Friday - Easy: 6.1 mi. 00:55 @ 09:00 avg pace. 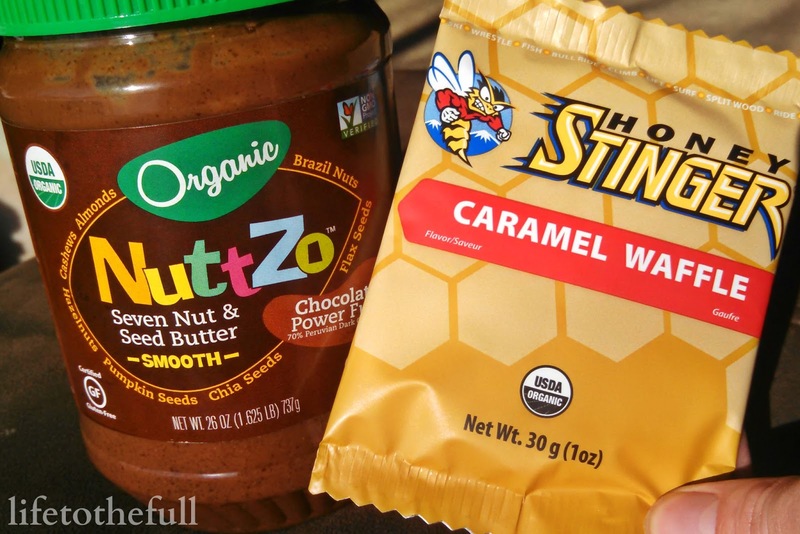 Have you tried any NuttZo or Honey Stinger Products? Runners: What is your favorite long run fuel?